De Temps Antan, have been exploring and performing time-honoured melodies from the stomping grounds of Quebec’s musical past. 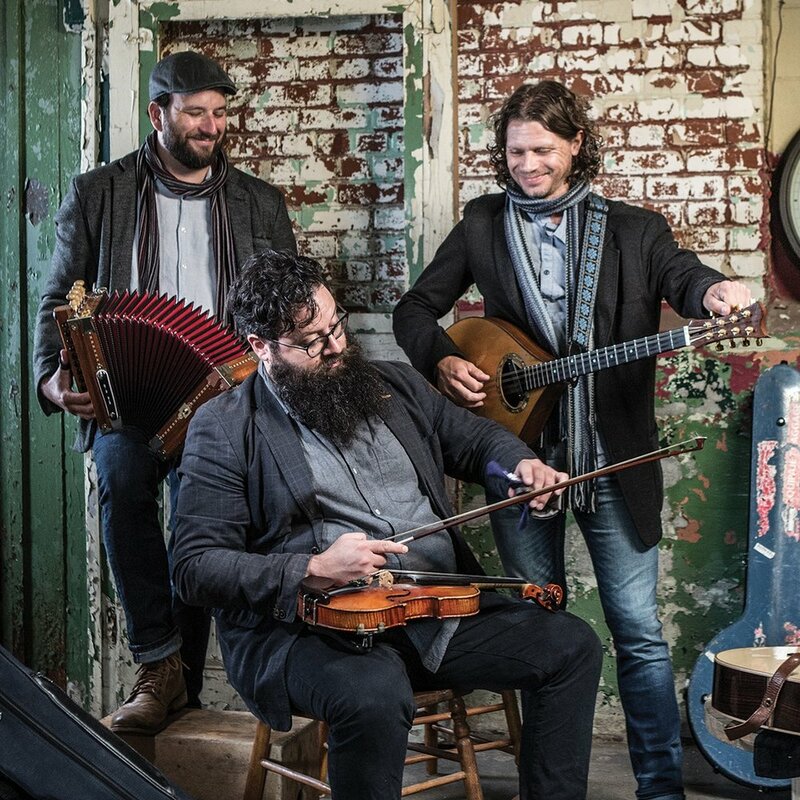 Using fiddle, accordion, harmonica, guitar, bouzouki and a number of other instruments, the three virtuosos blend boundless energy with the unmistakable joie de vivre found only in traditional Quebec music. It takes a special blend of musical flair to create memorable songs of yesteryear! Songs with a hint of contemporary—dosed with uncontrolled laughter, deep-rooted couplets and sudden, impromptu shifts—that speak to familiar rhythms of the past. Welcome to the original musical stylings of De Temps Antan! The only thing missing from this magnificent musical blend is you! So come enjoy an evening unlike any other with De Temps Antan. A delightful white lasagna with spinach & mushrooms served with a mixed greens salad with cucumber, gorgonzola, roasted pumpkin seeds & dried cranberries, and a fresh baked roll - $12. A savory blend of butternut squash, green peppers & roasted walnuts in a phyllo dough crust, mixed greens salad with cucumber, gorgonzola, toasted pumpkin seeds & dried cranberries - $10 (Dairy Free).